The event went down last night into the wee hours of the morning, and was visible across North America into western Europe and the United Kingdom. We’re always amazed at the sorts of astro-images folks take of a given event, now shared in near real time across social media. Less than a decade ago, a bright star occultation by the Moon — especially one occurring in the depths of northern hemisphere winter — would have grabbed the interest of at most a handful of intrepid specialist observers. Last night’s occultation of Aldebaran created a flood of images and videos across Twitter, Instagram, Vine and more. Many remarked on how quick the disappearance of Aldebaran along the dark limb of the Moon was. You can easily see the motion of the rotation of the Earth at the eyepiece if you turn the drive motor off, but during a lunar occultation, you’re seeing the motion of the Moon itself as it plows over the target star or planet. The abrupt nature of occultations make them worthy of the modern day ‘short attention span theater’ ideal for a 6.5 second long Vine. Many observers across North America battled clouds and bone-chilling January temperatures to witness the event. Though the occultation occurred during prime time evening hours for North America, observers in the United Kingdom had to contend with a very low altitude Moon in the early AM hours. And as with occultations, eclipses and other astronomical events involving things passing in front of each other, the question after the finale is: when’s the next one? Well, last night’s occultation of Aldebaran by the Moon was the first of 13 for 2016 — one for each lunation — but it was the best placed for North America. There is, however, a decent one for northern western United States and western Canada next month on the morning of February 16th. Alas, last night found us in Florida, the only state in the ‘lower 48’ that sat out last night’s occultation. Hey, it was also the only state in the Union with temps above freezing, so we’ll take it. Our modest personal challenge was to spy Aldebaran in the daytime, a feat we once completed observing from North Pole, Alaska in the late 1990s. And of course, a naked eye sighting of Aldebaran didn’t occur until about 10 minutes after sunset. But such are the tales of astronomical tragedy and triumph. 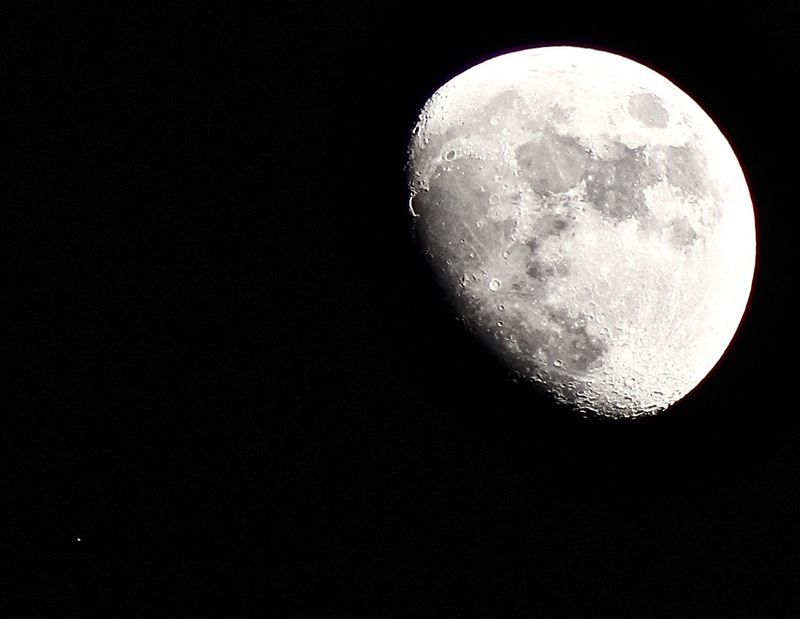 Hopefully, last night’s fine occultation whetted your appetite to try for more! Next PostNext How Long Is A Day On The Other Planets Of The Solar System?